The lawyers of Gary A. Zucker & Associates, P.C. have provided exceptional legal guidance to the people of Brooklyn. Their counsel is especially important for major auto collisions. Some of the most serious kinds of collisions involve motorcycle accidents, which can result in severe and fatal injuries. To help illustrate how serious motorcycle accidents can be, we've compiled some basic statistics on motorcycle collisions. According to numbers by National Highway Traffic Safety Administration, motorcyclists are 35 times more likely to be involved in a major collision than drivers of other passenger vehicles. This is a given consider the size of a motorcycle, the chance it would wind up in another vehicle's blind spot, and the vulnerability of a motorcyclist while on the road. The National Highway Traffic Safety Administration noted that there were 81,000 motorcycle accident injuries in 2001, climbing considerably to 93,000 in 2012. The leap is a major one, and show just how serious and dangerous it can be to ride a motorcycle. The National Highway Traffic Safety Administration also noted a rise in fatalities from 2011 to 2012, though not as pronounced as the injury numbers. In 2011, there were 4,630 fatalities in motorcycle accidents, rising to 4,957 in 2012. 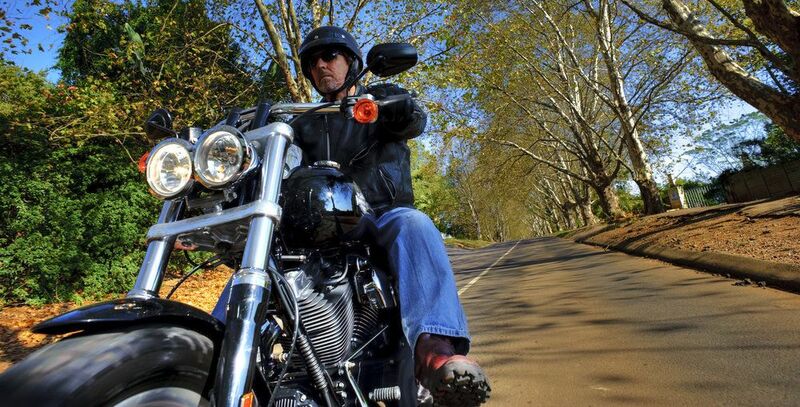 With regard to serious injuries and fatal injuries, the National Highway Traffic Safety Administration also noted the prevalence of serious head injuries among motorcyclists and the importance of helmets. Head injuries were found to be the leading cause of death in motorcycle accidents. In addition, it was estimated that a motorcyclist not wearing a helmet was approximately 40 percent more likely to die of head injury. This is why it is important to wear a helmet when you are riding a motorcycle. It can mean the difference between life and death. The Insurance Institute for Highway Safety noted two kinds of recklessness common in motorcycle accidents that occurred in the year 2009. Of the fatal accidents in that year, it was estimated that 48 percent of the motorcyclists were speeding at the time of the crash. It was also found that 42 percent of motorcyclists had a blood alcohol concentration (BAC) of 0.08 or higher, which is in excess of the legal limit. When driving your motorcycle, we stress that you should abide by all rules of the road and that you should never drive while under the influence of alcohol. In both of these cases, the recklessness exhibited was inexcusable and totally avoidable. If your motorcycle accident was the result of another motorist's negligence or recklessness, an attorney can help you in the legal process. Our team is here for you and your loved ones in order to ensure that our justice system serves those who have been wronged. For more information about your legal options following a serious motorcycle accident, it's important that you contact the attorneys of our personal injury law firm today. The lawyers of Gary A. Zucker & Associates, P.C. are on your side every step of the way.